On my last two journeys to the Gallipoli region, I made sure to make a stop along the way for satır et, an awesome dish whose name simply means “chopped meat” and which is sold by several restaurants along the way to Gallipoli. And with those stops, the taste of the delicious meat sold here – chopped, of course – was engraved in my memory forever. 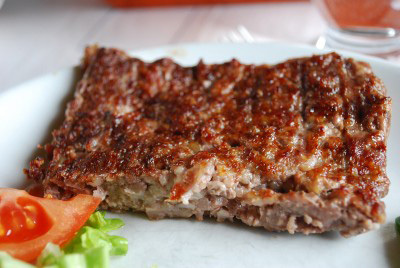 I can recommend eating satır et at Çamlıbel, which is just outside the town of Keşan. Another great spot is Keşanlı Enver Usta, located in a village called Beylikdüzü, near Keşan. At both of these places, you will leaving feeling light as a bird despite having just eaten grilled meat, allowing you to continue driving happily to your destination with only the smell of this delicious lamb to accompany you and thinking that life is magnificent! Sounds great. I will be visitng Istanbul from NYC in late sept to oct for about 10 days. I’m excited to go and explore the eateries.. I would love to go try these places you mentioned above. I’d need to find out how far is it from the city center. Keep these great posts coming. After reading your review, we visited Çamlıbel Restaurant last wednesday. “Satır et” was awesome. Also, I recommend you to try lamb kidney which has a very special taste.